“I loved it. And much of what I stumbled into by following my curiosity and intuition turned out to be priceless later on,” said Steve Jobs in his much-quoted commencement address to Stanford University in June 2005. He was speaking about dropping out of college and then hanging around campus to explore courses that appeared interesting to him but wouldn’t have been part of his core curriculum. He surmised that if he had never dropped out, “I would have never dropped in on” courses that changed his life. “Of course it was impossible then to connect the dots,” he said, of how valuable this curiosity seeking would be. But in his mind, “it was very, very clear looking backwards ten years later.” These little adventures not only made all the difference to Mr. Jobs but he also credits these field trips to contributing to the creation of things like the Mac, ipads, iphones. Need I go on? Mr. Jobs’ line of thinking was on my mind last week following a quick conversation I had with a friend about her new job. She is an incredibly smart women whom I worked with for many years. The net of her message to me was that she pulled off what few can do in this economy. She landed a new job within weeks of leaving her prior role. She didn’t go into the details but my guess is that she banked the severance pay, helpful for upcoming college bills, and found a great opportunity to boot. Cause for celebration? Yes! Or…maybe. Am I crazy? What does this say about my transition ‘field trip’? For those who are new to Novofemina I traded airports and 60+ hour work weeks for an ‘expedition’ of my own a little over a year ago. My toggle between reactions to my friend’s great news caused me to ask the opinion of a professional colleague who deals with people in transition as her day job. She had an interesting perspective. To paraphrase she said, ‘people don’t often see a gain to staying out,’ she said. ‘Some don’t have the courage to look beyond replicating what they just had.’ I found her choice of words interesting…gain and courage. Gain? My pre-transition, extreme, C-suite job left me convinced that there was no other path than to pursue some experiments (thanks Herminia Ibarra in Working Identity) in transition. I suppose I saw only gain once I had visited my pre-transition geography of delayed flights, countless conference room hours and political jockeying that would make your hair stand up. Courage? “I think what you are doing is very courageous?” said a professional friend I’ve known for years as we were having lunch prior to the holidays. I was honored and surprised. Not sure I deserved it. He’s an executive at a highly visible healthcare organization in Boston. Healthcare is constantly changing. I think he understands the root nature of transition from the professional world he inhabits. He lives transition every day. But courage? I don’t want to blow over the very real possibility that my friend with the new job took the job due to financial responsibilities. Last spring I gave several speeches about ‘how to live your best professional life‘ to women’s organizations. My first tip was “know your personal economics.” Everyone’s situation is different. No surprise there. It is a luxury to pursue a Steve Jobs-like curiosity. Or is it? Not everyone has the flexibility of Mr. Jobs who delighted in the free weekly meals provided by the Hare Krishnas on the campus of Reed College during the time referenced in his commencement speech. 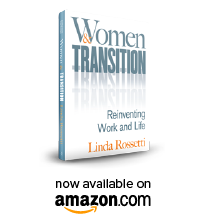 This entry was posted in Observations on Transition and tagged career transition, observations from a women's transition, The Art of Possibility, Transitions Making Sense of LIfe's Changes, women's transition, women's transition issues, Working Identity. Bookmark the permalink.